Thea is currently on a solo trip around the world and will be sharing her best finds with us as she travels. Make your way up the eastern coast of Australia to the Great Barrier Reef and chances are you will stay in Cairns. It is the one of the closest towns to the reef and thus a great jumping off point for reef tours, rainforest treks, and a great variety of outdoor fun. The busy season is May to November, although it can frequently rain so be prepared. Cairns is a gateway to the incredible adventure and biological diversity that the Queensland area offers. Tours range from scuba diving and snorkeling, to rainforest treks and bungie jumping. Taking advantage of all the tours can quickly become very expensive, but there are a few free things to do like visiting the Cairns Botanical Gardens, a 40 minute walk from city center or swimming in the Lagoon, a large public pool on the beach front. The actual beach front is unswimable due to its muddy shallow nature, and the local population of salt water crocodiles that live in the cove. The city also maintains free public gas grills all along the esplanade, and you will see both locals and travelers alike having a BBQ and enjoying the slower pace of life in Cairns. Dreamtime Travellers Rest Hostel is an easy 15 minute walk from the esplanade beach walk. You enjoy window shopping on a main street, so the walk goes by pleasurably. It is right next to a shopping center with a cinema and the train station on a quiet little side street. 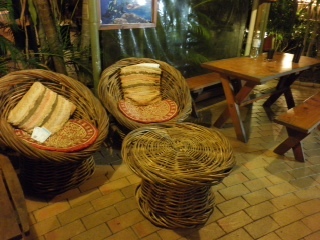 I loved the layout and bohemian vibe of the hostel, as it had a huge communal courtyard, games area and swimming pool. Lush vegetation and flowering plants surround the grounds and courtyard areas. The rooms were spotless and the buildings link together with large open sunlit corridors and brightly painted walls. There was always a couch or chair to hang out in and read a book or socialize. There is a “home away from home” feel and every room has unique artwork and tapestries on the walls. The owners literally started this hostel in their home, and then bought the houses in the back as demand grew. It has a real Queenslander feel to it. Every room has a fan and windows, so the ventilation is great. This hostel is a nice balance of getting a good night sleep and having fun. The hostel sleeps up to 75, but it feels very intimate and small scale. They have a weekly Wednesday Aussie BBQ and fire show that brings the best of Cairns to your backyard. They also have low key activities in the evenings like outdoor movies and pizza night. Caravella Hostel is a five minute walk from the restaurants, shops, Lagoon, and nightlife. The location is central and is great for both the backpacker, older more seasoned traveller, or even families. The reception desk is less than 100 yards from the beach. The hostel feels more like a motel and at full capacity sleeps over 200. The focal point is the center courtyard with an outdoor swimming pool and two open kitchen and dinning areas. This is where people hang out, and it is easy to meet people or join a card game. The single rooms are clean, but the dormitories can be less so. Each sleeping room has its own private fridge, for storing perishables. There are picnic tables outside for eating and lounge chairs by the pool for hanging out. The kitchens are large and spacious and great for a communal cooking experience with all utensils and cooking pots provided. There is a small public cafe, Mudflats, attached to the front, that serves a variety of snacks and quick bites throughout the day. It also has the necessities like toothpaste and such for guests. Floors share a bathroom, which are separated by gender. The showers are clean, to where you don’t have to wear flip flops, although the water nozzles are a bit funky. This is a very laid back place and right in the middle of the action, AC in the rooms if you want it, and a friendly staff. Cairns Girls Hostel has the feeling of a boarding house from another era. It is the only all-female hostel in all of Australia. Jenny, the owner, checks you in at the front. It is a small hostel, with 38 beds. This can be a nice change, and in some cases might be preferred. The hostel is socially quiet, so you can get your group fix by going out on the town. The building has a bit of Queensland charm and history, as it is over 110 years old. It was the former family home of the Bolan family, owners of “Bolans’ the first department store in Cairns. It is a 10 minute walk to restaurants, reef tours, nightly music and clubs. For women wanting a very secure and quiet sleeping spot this is it. There are several rules for the hostel which most others don’t have. As it is all female, men are not allowed beyond the lobby, and are not allowed in the rooms. There are plenty of showers and toilets and three kitchens for use any time. The hostel was very clean, and I saw the owner cleaning the bath rooms daily, and changing the towels in the kitchens. Rates: $20dorm/$140week/$24twin/$168 twins share week. Cairns City Backpackers Hostel is a 20 minute walk from the city center and the esplanade. The area is a bit more industrial, and not quite as picturesque as the accommodations closer to town. Dave, the owner, a former reef dive instructor for 7 years, checks you into your rooms and can recommend any of the tours offered. The hostel has a cute bungalow feel and lush gardens around the walkways. At full occupancy it sleeps up to 75 people. To make up for the distance from town, there is a great hangout area undercover in a center courtyard, complete with a pool table. The rates are also a bit cheaper as it is a bit further from town than most accommodations. 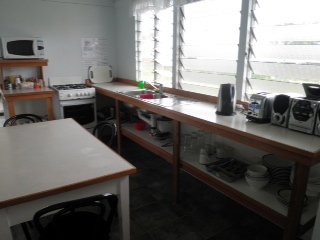 The hostel has several kitchens and bathrooms and all utensils/flatware for use. Some of the burners didn’t work in the kitchens, so multiple parties often had to wait to cook. The dorm rooms share a shower in the room, or can use one down the hall which was clean, but poorly lit. There was an outdoor deck for morning breakfast. There were not very many restrooms, but you could easily walk to another floor and use theirs. Great spot if you don’t mind the distance from the main drag. It has a relaxed feel and travelers can get a good night sleep, ready to rise early for the numerous tours, outdoor sports and activities that Cairns offers. All of the hostels offered Internet on computers and WiFi but you have to pay for both, and it usually starts at $2-$4 for an hour or more. When I visited there was free Internet and wifi available at Peterpans Travel in the city center once you bought a $1 wristband. People would often camp out so be prepared to wait or snag free WiFi at any McDonalds, although it can be slow. The tourist “info” centers often offer internet as well and you can avoid the crowds. 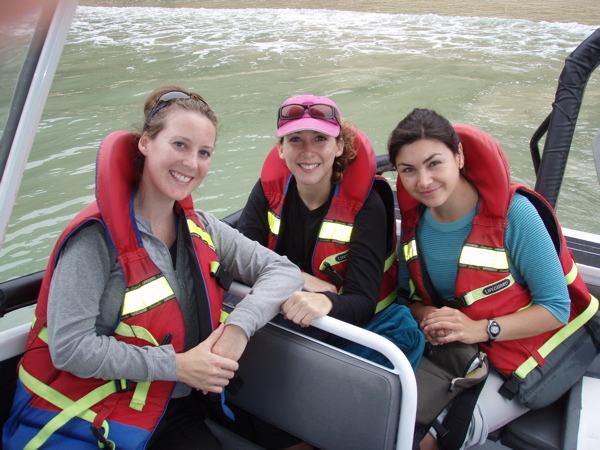 You can book your adventure tours through the any of the hostels, and they sometimes do offer special deals. Many times the front desk people have sampled the tours and can give you the inside scoop. If your on a time crunch,the hostels can help prebook tours for you which can be helpful. I also suggest going into town and checking out one of the numerous “cairns info” booths as a great way to check out and shop for the best deals if you have unplanned days and tend to be more spur of the moment and flexible. I wish I had read this before I went last year! 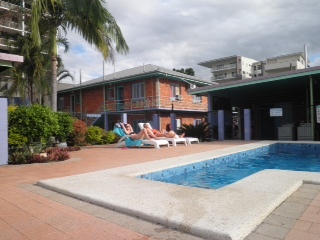 I stayed at the cheapest and WORST hostel in Cairns, Cairns Beach House. Avoid at all costs! This is very nice post for select their hotels in Cairn.Cairns are the closest town to the reef and thus it is the very good place for tours, rainforest treks and great variety of outdoor fun. Cairns provide very cheapest hotels and accommodation with great facility. 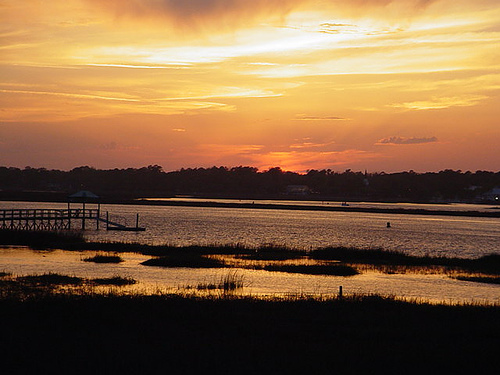 I like to go there and want to enjoying the slower pace of life. As a popular tourist place,Cairns is more popular among them belonging to different age groups.Many families prefer to choose Cairns for their holidays to make their trip memorable.Thanks for sharing information about “Best Hotel in Cairns” along with the lovely picture.The details will help readers for their next family holidays.